With the forecast looking hopeful, 16 people decided to chance coming along, and we managed to engineer the day to be the start of the current hot spell (as at 26 May!). If quality, not quantity, is what counts, the eventual list of sightings, while not huge in numbers, was fairly impressive (at least we think so). Owing to very recent heavy rain, we decided to alter the route slightly by avoiding the wooded slope at the end of the top track of what is, in effect, the north transect by re-tracing our path rather than making it a circular walk. But with kind permission from Forestry Commission Scotland to take a couple of cars up to the Butterfly Conservation Scotland (BCS) Mabie Reserve, this made the walking not too arduous. There has been a BCS Reserve at Mabie, centred on Lochaber Loch, since 2007 and the management plan is in partnership with FCS. 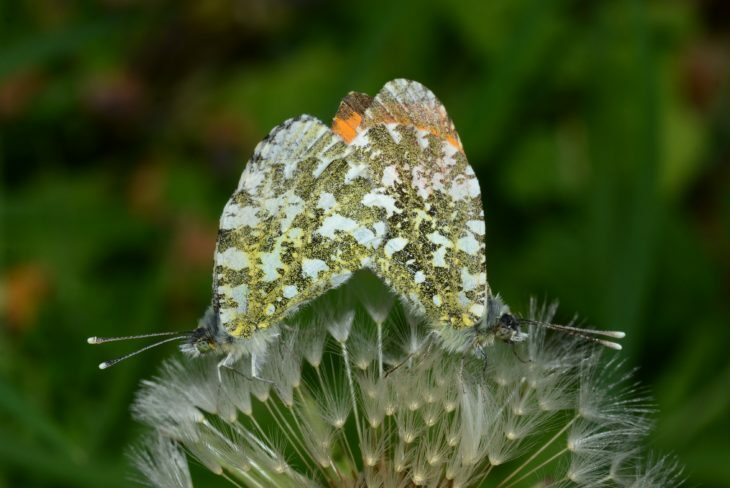 In fact Butterflies have been monitored here since 1995, and its importance for butterflies is highlighted by the 25 species that have been recorded which make it the must-visit butterfly reserve in Scotland!. The target species at Mabie is always Pearl-bordered Fritillary, and we eventually managed to get a few (well, 4) sightings of them, freshly emerged, at the end of the day. Of perhaps equal interest were the 2 male Emperor Moths which Alison Robertson attracted via the use of a pheromone lure. And as it seems that Rabbits are, in some parts of the Country, becoming a rarity, we should also include the one spotted. (As well as a Fox and Common Toad). 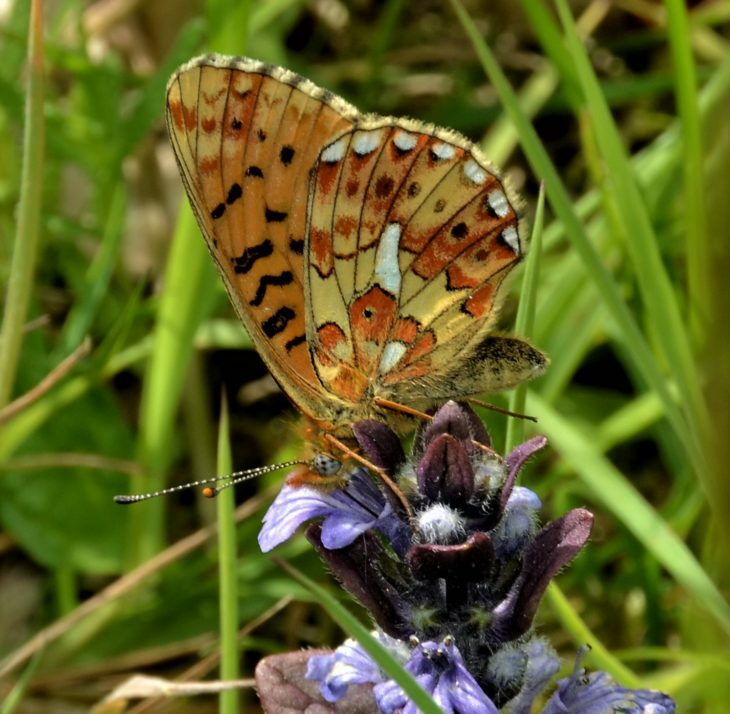 The field trip last year was on 14th May (compared to 12th May this year); on that occasion 75+ Pearl-bordered Fritillaries (PBFs) were recorded compared to the 4 seen this time. To decide if in future we should hold the group visit one or two weeks later, I undertook a couple of visits on 18th and 24th. These trips produced 16 and 32 PBFs respectively (although due to lack of time the latter visit was only along the top track, so the count would have been much higher if the whole Transect had been walked; but Small Copper, Small Heath, and a few 4-spotted Chaser Dragonflies were also seen). So, yes, perhaps next year we will revise our timing, but with the vagaries of the weather the jury may still be out on this one. The other butterfly in good numbers was Orange Tip, with about 20 seen on all 3 visits. Our two other field trips are to Birkshaw Forest (28th July) and Mossdale (18th August): details are available from the organiser (see email below).